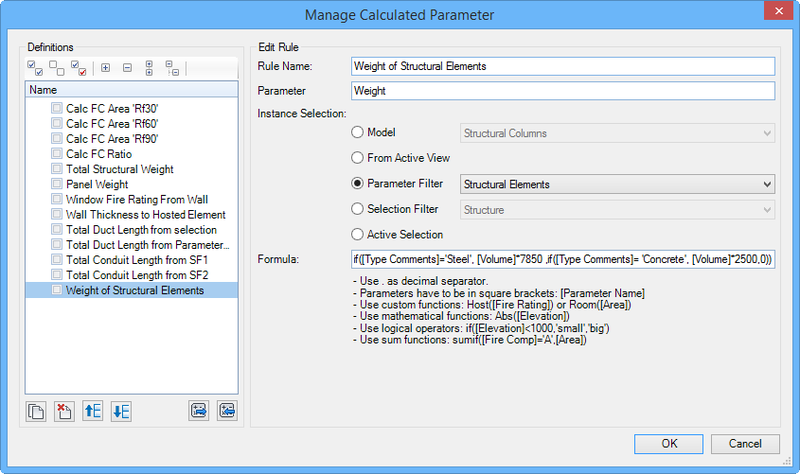 Installed alongside BIMiTs Extensions for Revit, BIMiTs® Content Admin Kit are a series of advanced tools to manage the parameters of your families and projects. 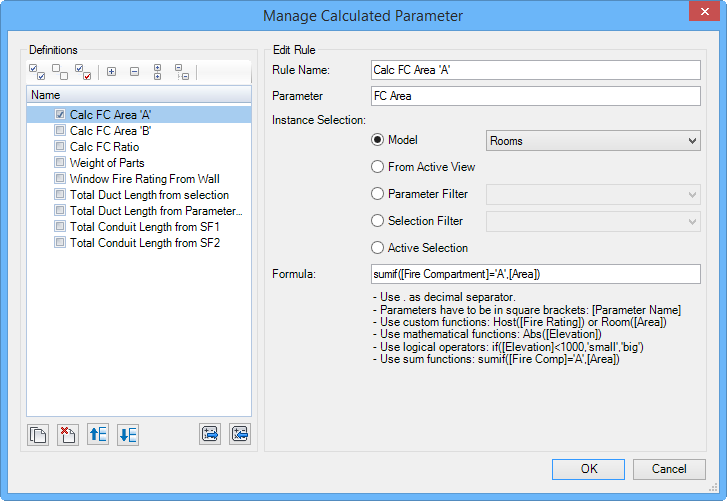 It consists of a number of Management tools such as: Parameter Manager and Calculated Parameters. 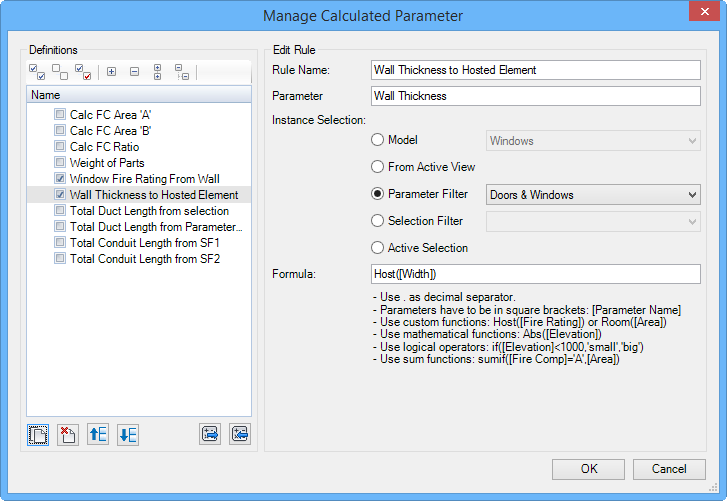 With the Calculated Parameter tools you are able to define specific formula-based rules to define automatically the value of almost every editable parameter in your model, based on a selection, category, filter, … It allows you to read the values of host or room elements and write it into your hosted element. Update 10/2/2014: There's a very timely and thorough article about BIMiTs Content Admin Kit in October's AUGIWorld (on Page 6).